Hi everyone and welcome! 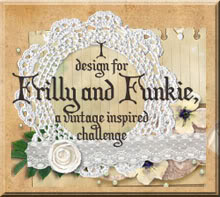 Last week I shared a 'serving suggestion' for the Basket from Eileen Hull Designs HeARTfelt Collection, released by Sizzix (you can find it HERE). Well one was simply not enough! 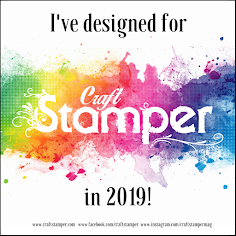 As part of the Inspiration Team's collaboration with Stampotique I was lucky enough to receive the 'Hanging Heart's stamp and couldn't wait to see what it would look like on the side of a sweet treats basket. I haven't done a full tutorial for this basket as basically the process is the same as for the first one. Following the first four steps in my original post, I added uneven layers of Seedless Preserves, Picked Raspberry and Candied Apple Distress Paints (gosh, even the names get the mouth watering right?!) When dry I used my finger to apply a thin uneven layer of Wendy Vecchi Crackled Texture Paste and let it air dry. I pounced the Candied Apple paint onto every edge before assembling the basket. The Hanging Hearts were stamped on each side of the basket using embossing ink and were given a coat of Hammered Metal Embossing Powder from Emerald Creek Crafts. I love how the mix of ingredients in this powder give a finish that isn't just flat colour! You'll see the hearts were then painted with more of the paint used to colour the basket. The words 'When we love - we grow', also from Stampotique, were stamped with Black Archival Ink to add a final finishing touch. Imaging my delight in finding some berry bonbons that matched the basket perfectly! I hope this inspires you to make your own sweet treats basket for someone special. 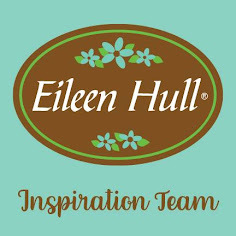 There will be lots more projects coming throughout the rest of this month from the Eileen Hull Inspiration Team as part of the collaboration with Stampotique - you can check them all out HERE. Fabulous basket. Love the subtle texture and the lovely red edge. Embossing the hearts makes them pop and gives added texture. At first I thought those were bath bombs in the basket until you explained what they were. The basket would be a fun storage item for a bathroom though. Wonderful! Jenny. Great texture and love how you have complimented the colours of the bonbons on the basket design. Such a great way to give a treaty gift . Great project! Love the color combo and how you applied the crackle. Those bon bons look delish! Love the texture and colors you achieved on your lovely basket Jenny! the hearts banner is the perfect stamping across the sides - and those candies ARE perfect inside - all matchy matchy!!! and I'm sure, totally gone now!! beautiful project!!!!! love the crackle! The basket is perfect for the heart banner! A match has been made! Adorable, Jenny - the basket is too cute, and even more delicious with all those tasty colours involved. I'm a big fan of a bonbon (especially the lemon ones, and the plain toffee), but I've never met a berry bonbon. It will be on my search list once I'm back in the UK!